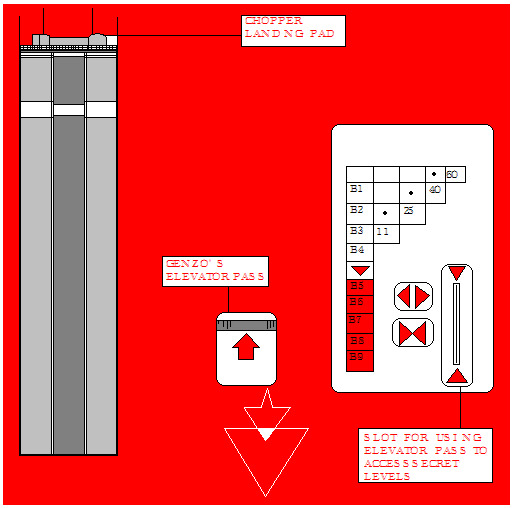 The floors marked red are the floors which require a pass to access. Only people in high positions are allowed the cards which you need to access the secret levls. Floor B5 is the level which has the lab where Riscar became Guyver II.